While your home may be “dog-friendly”, complete with leashes next to the door and pet hair on the couch, your home may also be hiding some dangerous hazards for your dog. Pet parents need to be able to identify these risks and be prepared for an emergency. Common household hazards include certain foods, chemicals, and medications. 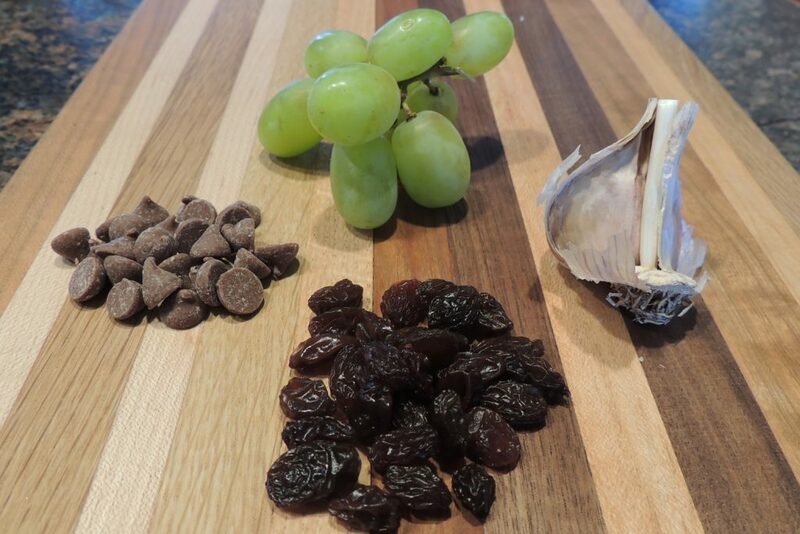 It is important to recognize that not all ingredients are safe for your pup – grapes, raisins, yeast bread, garlic, and macadamia nuts can be deadly to dogs. Additionally, while many cleaning products and insecticides are pet-friendly, read the label and store these items away from curious pets. Medications can have vastly different effects on humans and animals. Some, such as ibuprofen are potentially deadly, while others are safe – but used in different cases and at different dosages. Never give human medications to your pets unless specifically instructed to do so by your veterinarian. Accidents can happen. If you suspect your pet has been poisoned, call your veterinarian or the ASPCA Animal Poison Control Center immediately. Additionally, bring a sample or the container with you to the veterinarian. Once your dog arrives at the vet, they will immediately begin accessing your pet’s condition by analyzing vital signs and performing tests. While emergencies are unfortunate, MeasureON! is there to help through continuously recording a patient’s temperature, pulse rate, and respiratory rate. This allows assistants and technicians to focus on drawing blood, inserting a catheter, and other life-saving actions. Visit the AVMA Household Hazards page, HERE, for more information. Copyright © 2019, VetMeasure, Inc. All rights reserved.